Printer for digital torque meters and instruments. Electronic type printer for digital torque meters and instruments. 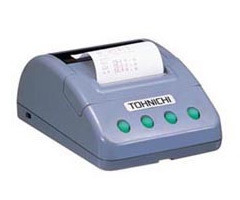 Exclusive printer for Tohnichi digital meters and instruments. Light weight and simple in operation. TMeasured data can clearly be printed by serial dot impact type. AC adapter 1pc. 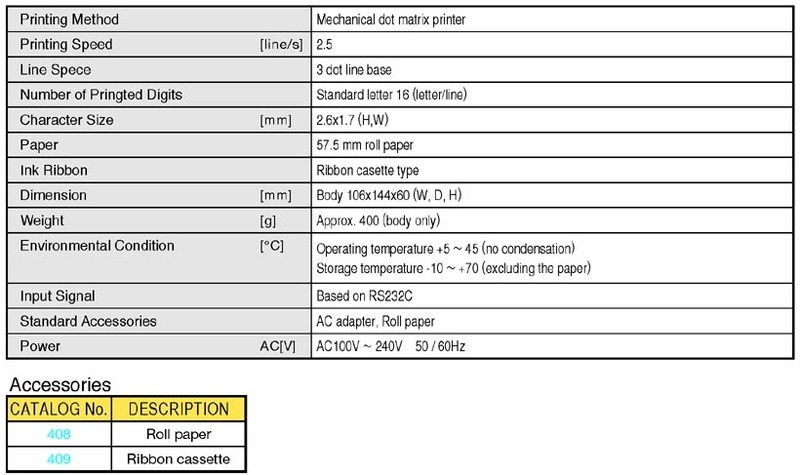 Rolled paper 1pc. Inkribbon 1pc. and supplied as standard accessory. For EM250 and E type tester use the standard printer sold on the market (based on centronics).